Chumming is a technique that has been used effectively for generations to help anglers enjoy a more productive catch. It is generally accomplished by continuously tossing chunks or ground mixtures of fish byproducts into the water and letting the current carry them off until they have gained the attention of hungry gamefish. 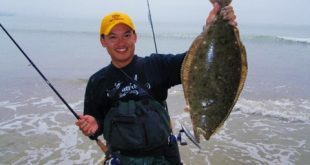 This practice offers saltwater anglers the advantage of not only being able to attract the species that they are targeting, but to also invite a plethora of smaller forage fish. These, in turn, often provokes the interest of even larger species that would like nothing better than to decimate a school of live baitfish. For generations, just about the only way to be guaranteed that chum would be readily available for your fishing trip was to make it yourself, which would usually involve using an old meat grinder to render various bits of fresh and frozen byproducts into a smelly, oily mixture that was then frozen into a block with a rope in the center. Admittedly, chumming can be a somewhat messy process from beginning to end, which is why pre-made chum products eventually began making their way onto the shelves of bait & tackle stores well over a decade ago. Some are freeze dried in packages, some are frozen and some come in buckets, but most all of them have been well crafted from a variety of ingredients designed to attract fish. If you are bottom fishing in deeper water, it is often a good idea to secure your chum to a strong, weighted cord about 2 feet up from the sinker and allow sufficient time for it to disperse before dropping your bait. In some cases, as with Berkley’s GULP! Saltwater chum, powerful concentrated biological attractants such as pheromones make the chum even more beguiling by triggering an instinctive response even when a fish might not be particularly hungry. The only problem is that the price of most of these pre-made chumming products hovers around $20.00, which might make it a bit too expensive for anglers on a budget. While it may be more unappealing and time consuming, making your own chum is, without a doubt, much cheaper than buying it in a store. Make it or buy it? As always, in the end that choice is up to the individual angler. But no matter which option you choose, it is likely that you will be able to catch a lot more fish, even on a slow day, when chumming is part of your fishing strategy. For well over a decade, ‘Hooked on Baja’ author, Tom Gatch, has built a solid reputation as one of the foremost published writers and columnists focusing on travel, real estate, recreational and culinary topics in Baja and southern California. Get Bit on Your Next Baja Getaway!